A-Vu Media was founded by our President and CEO, John Goodman, for the purpose of introducing community based telemedicine options on a platform that also expands multimedia and two-way communication choices for Seniors, Disabled Persons and those left behind by the complexity of electronic technology and "too many button" remotes. Watch a video of John describing "The A-Vu Media Experience." John brings more than 30 years of management and business development experience to his role in the creation of A-Vu Media. Prior to his current position John was President of the Coalition for Competitive Access to Content (CA2C). John has also served as Executive Director of the Broadband Service Providers Association (BSPA), one of the founding members of the CA2C. The CA2C has been a leading advocate for program access rules at the FCC and in Congress that will support the growth of broadband competition. The BSPA is comprised of Broadband Service Providers (BSPs) that deploy and operate new, facilities-based, advanced, last-mile broadband networks for the delivery of innovative bundles of voice, multichannel/on-demand video, and high-speed data/Internet services directly to homes and small businesses across the country. These new networks have demonstrated the most compelling examples of desired competition. They have also become models for the upgraded networks being developed by incumbent cable and incumbent telephone companies. Prior to his work in DC John had operating roles at Astound Broadband that gave him a solid background and understanding of the multitude of telecom and broadband policy and operating issues faced by network operators. All of his experience in broadband, telecom, and video bundled services has led to the development of the A-Vu business concept. In addition, before joining Astound Broadband John worked with three business start-ups focused on high technology investments. He worked in wireless communications for Motorola and E.F. Johnson, a wholly owned subsidiary of Arkla/DEI, a regional utility company. He also acquired significant experience as a marketing consultant while working for Honeywell and Horton Manufacturing in business development and marketing roles. John holds an MBA from Northwestern University's J.L. Kellogg Graduate School of Management in Evanston, Ill. and a B.A. in Psychology from Bethel College in St. Paul, Minn.
Brad is a former US Army officer, serving with distinction in the United States and in Europe. 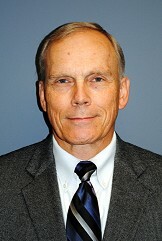 He has since held a variety of technology management positions in the Department of Defense and the US Department of Justice followed by a twenty-two year career at XCEL Energy where he ultimately served as Chief Technology Officer in their Astound Broadband telecommunication subsidiary. 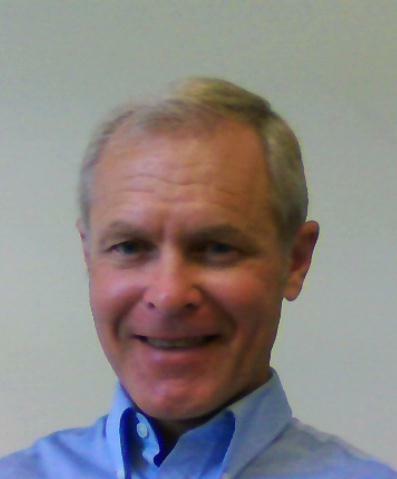 As an independent consultant prior to joining A-Vu Media, Mr. Zuehlke served clients with interests in telecommunications, energy conservation and improving core business practices. Brad came to A-Vu Media with an extensive background in technology development and deployment. His work experience includes managing research and development projects for the Department of Defense, automating the electrical distribution system in a $2B Electric & Gas Utility, architecting the construction of regional broadband networks in California and Minnesota featuring voice, video and data services in addition to developing business opportunities for companies interested in selling and servicing energy technology that reduces carbon footprint. Mr. Zuehlke is a graduate of the United States Military Academy at West Point, New York where he obtained a BS degree in General Engineering and also holds an MBA in Management from the University of St. Thomas in St. Paul, MN. By enabling healthcare providers and combining access to telemedicine, entertainment and communication services through a simplified remote and a set-top box, A-Vu Media is challenging the complexity of multimedia access and leading the way for its customers to remain independent, yet fully connected to loved ones, care providers and the entertainment content they enjoy without the frustration of complex menus and tiny controls with too many buttons. A-Vu Media is the brainchild of its founder and CEO, John Goodman. His tireless pursuit of a way to enrich the lives of seniors by giving them access to all the possibilities of complex multimedia services while keeping the user interface simple, led to multiple opportunities to develop mutimedia technology not only for the home, but also for clinic based telemedicine services serving patients in nursing homes, assisted living facilities, public housing, public & private schools and rural satellite clinics. A-Vu Media continues to grow by partnering with healthcare providers and broadband service companies to serve the related access needs of seniors and disabled citizens.